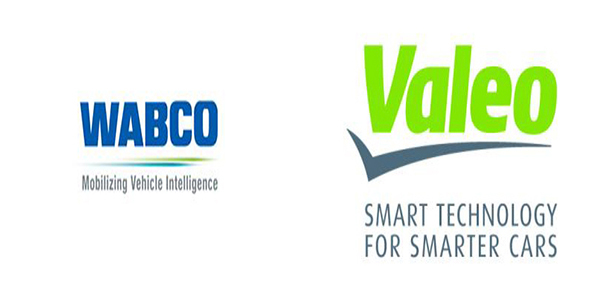 Valeo and WABCO have signed a memorandum of understanding (MoU) to bring the latest active safety technologies to the commercial vehicles market in order to protect pedestrians and cyclists in city traffic and enable autonomous driving features. The two companies say this MoU will enable Valeo and WABCO to play a leading role in the Advanced Driver Assistance Systems (ADAS) and Automated Driving (AD) markets for commercial vehicles. Valeo will contribute its expertise in perception systems, in particular its radars and LiDAR. Valeo, as an expert in active safety, has one of the broadest sensors portfolios on the market and is already engaged in mass production for passenger cars with radars, front cameras and LiDAR. WABCO, a global supplier of technologies that improve the safety, efficiency and connectivity of commercial vehicles, will contribute its knowledge of market needs and regulations. According to Valeo, the radar and LiDAR technologies developed within this partnership will comply with upcoming commercial vehicle legislation and deliver warning and braking systems that protect vulnerable road users in urban environments. Through the MoU, Valeo and WABCO will first work on a radar solution that will be available as soon as 2020, delivering blind spot warning assistance to drivers to comply with German regulations (ahead of the European Union 2020 regulations). The two companies will, at the same time, work on various LiDAR solutions that cover an extended range of situations that go beyond 2020 regulatory requirements and facilitate driving.